Out of respect for Ryan Buell’s Mother, I’m going to keep this very short. Although I’ve not seen Ryan for over three years, I have received one text from him this year, as well as one text from him last year, in which on both occasions, Ryan just expressed that he missed me and hoped all was well with myself and my loved ones. I only offer this up because I truly do not have any information about his current situation beyond what has been written in the article about his recent arrest. In regard to Ryan’s “condition”, after reading Ryan’s Mother’s plea to the public, I would be truly surprised if anyone at this point is unaware that Ryan is suffering from addiction. This isn’t anything new. This has been going on, at different levels, with different substances, for as long as I’ve known Ryan. Like many of you, over time I had also come to suspect that Ryan was not suffering from pancreatic cancer for obvious reasons. Unfortunately, it appears as though my suspicions were correct, as I just learned from reading his mother’s message that Ryan does not have cancer, as his mother states this as a fact in her public plea for help. I don’t know if this means that he never had cancer, or that he is now currently cancer-free. But if Ryan did in fact lie about having cancer, that would be a truly deplorable act, as my wife and I both personally shed tears in Ryan’s presence when he told us both of his diagnosis, as my wife also lost her mother a few years ago to lung cancer. Needless to say, I would not wish that hell on anyone. I can also say that if Ryan has beat his pancreatic cancer, he certainly never made me or the public aware of this. And last, but not least, I would like to commend the strength of Ryan’s Mother, as I can’t imagine what she must be going through. 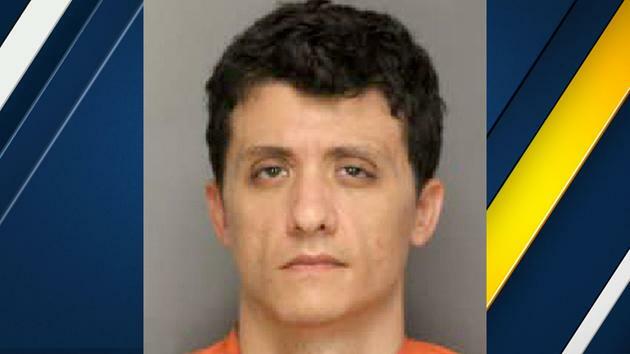 While nobody but Ryan Buell is responsible for Ryan Buell’s actions, he’s just someone that has lost his way. Let’s be clear about that. He’s not Captain America. He’s not some demon-slaying ghost hunter on a mission from God. He’s a human being. He’s a brother. He’s a son to a mother and a father. He’s done wrong to many people in which only he can make things right with everyone that he has hurt, which includes his immediate family, his friends and his fans. But this is obviously going to take some time. And as someone who has overcome my own past battles with addiction, I can tell you that all things are possible through love and faith. Right now, I’m praying that Ry’s mother will get her son back, so that he may regain his health and have the chance to make amends. In closing, I think it’s very important to understand that Ryan’s Mother is correct. Only his family knows the full extent of what is going on, as they are on the “inside”. With that being the case, I’ve stated what I know and how I feel. From here, I consider this to be a family matter, in which I will continue to pray that Ryan will someday return home to his loving mother in good health, ready to accept what needs to be accomplished in order give his entire family the chance to be “whole” once again.